Each to their own but all I’ve ever needed was my bass and a lead, never had a problem. I used to take a bass, leads and some sandwiches. Oh and make sure you play exactly what the guitarist tells you, as they think they can always play the bass better than you can. Way to be among the most prepared of Bass players!! Emergency prepared kits for bass player vs keyboards is a world of a difference. Keyboards easily gets into the realm of spare proprietary adapters, spares for 10 different cable types, backup sound engines (iOS is great for that), since you already are hoarding spares might as well throw in spares for things the rest of the band forgets too. My last band I was always the one with guitar picks around and I don’t play guitar much... And always some kind of food for an emergency. Also, spare moongels because you know your drummer isn’t going to bring them, and probably doesn’t tune the drums anyway. Was a bassist 85% of the time in the studio, never took anything. Never even owned a bass. Just had to show up! Well, I did pay the drummer in cigarettes to use his bass ('payment sticks'). God I miss playing in the studio. I've been to FAR too many sessions with unprepared musicians that hold up everything, so I make sure to be as self-sufficient as I can no matter what the situation. I used to also carry a Boss LM-2 Limiter with me also, but I used it so rarely that I got rid of it a while back. Extra strings, picks and batteries are also a must - I can't tell you how many times we had to stop a session for some dude to run to the store to grab some 9 volts. Not too shabby - and the best part was that I could have showed up with just my damn self and had everything I needed. Even still - it was nice to show up prepared and ready to go. Once I get the mixes from the session I'll post them here for anyone interested. 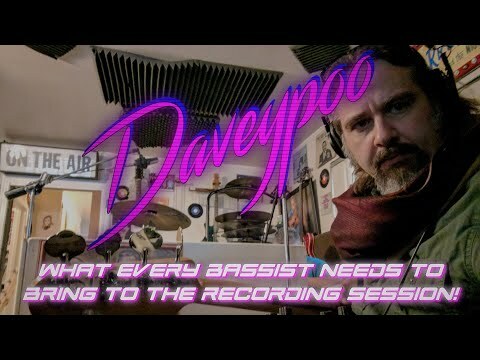 More bass-centric videos coming soon! I like the foam in the strings, well done. A '64 Precision on the wall - beautiful machine, that. WRONG. 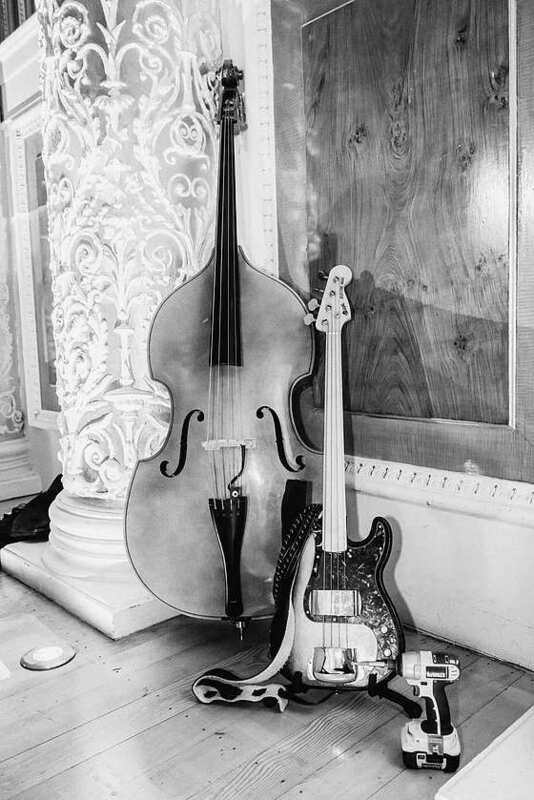 The bass player never buys the drinks - that's the bandleader's job. That was the ONLY thing our old band were completely sure of that the bass player would bring. It was more likely he'd forget his bass than he'd forget beer. Basses (pictured), compressor/DI (Aphex Punch Factory), Amp Sim/DI (Sansamp BDDI), Floor Tuner, AB/Y pedal, a few 3m and 1m cables cables + a spare of each, basic tools for adjustments and spare 9v batteries. 100s of gigs with that equipment and never had any issue I couldn’t fix. Power drill is not included in my tool kit.. band leader there was a cabinet maker and built a very elaborate stage for that gig! All bases (basses) covered right there! Oh, had me quite surprised there for a second, as I hadn't considered you as a "shredder". 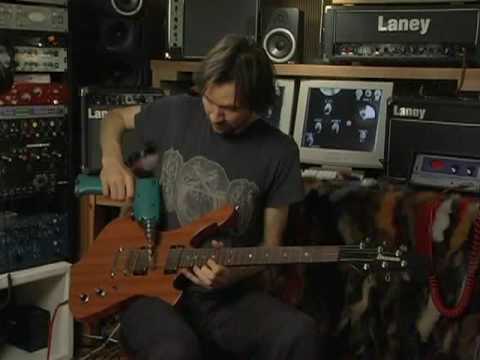 Haha, I love Paul Gilbert though! I've been to see him live -- quality performance. @OscarSouth I dig that your P bass is both fretless AND a maple neck. Don't see that combo all that often. Yeah, I had to put that thing together from parts to get what I wanted. I'm surprised that someone noticed something that specific! The neck is actually made by a long gone company called 'Maya', the pickups are from a pretty modern (at the time) USA P-Bass and the circuitry is a re-creation of the original P-Bass circuit that I put together from a schematic (has a reeeeally warm low end). Nice - I noticed that the neck wasn't Fender, but couldn't make out the writing on the headstock. I have a buddy who has a late 70's fretless P with a rosewood fretboard which is already fairly rare, so I always keep my eyes out for them. 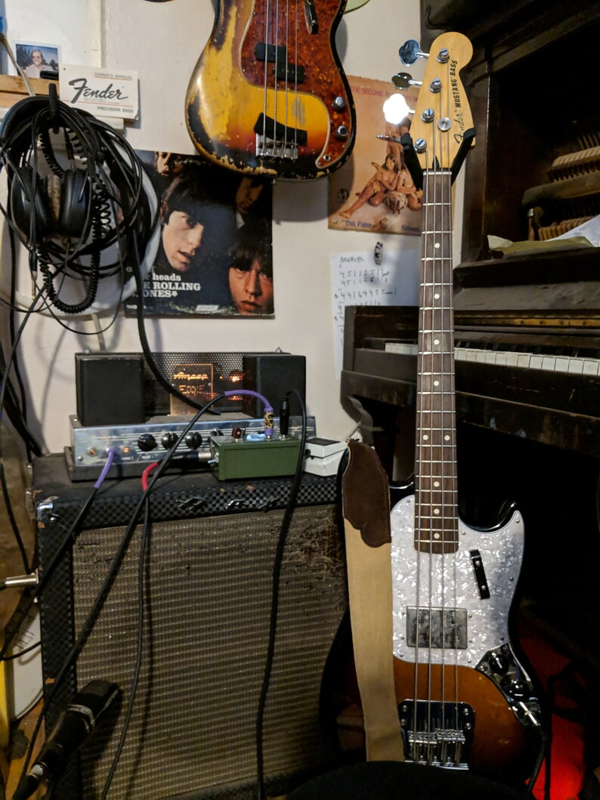 I think the idea of having a Precision bass (so named because the addition of frets to a typically fretless instrument made it more "precise") with no frets is hilarious, but they sound great. The recordings there are really nice - that bass sounds nice and round. Did a lot of work on my P, which you can see if you check out my other videos. I don't want to carry a lot to the gig, so I made it into this sort of Swiss Army Bass for tones. Covers most styles I could think of, and I have the Mustang if I want something a bit boomier. Yeah, it's amazing how a P-Bass with nothing but a tone pot can fit into literally any musical context. I also have a Fretless Jazz with a dark/hard wood neck (actually forgot what it's made of). That's a more modern sounding instrument that I bring out pretty often too. My 'trick' instrument is a modified Yamaha TRB5p (different one from the TRB pictured above) that is a really beautiful fretted instrument capable of extremely intricate and 'full spectrum' sounds. Agreed - it took me a lot of years to understand the magic of a Precision bass in the mix. Now it's mostly all I play. Hehe @OscarSouth, nicely done, well played! 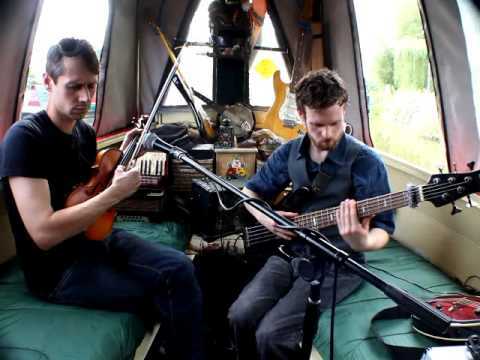 I went on holiday in the English canals in a narrowboat this summer. Didn't create any music on it though, but my t-shirts did get quite some recognition from fellow boaters, which surprised me (as I mainly had obscure progressive death metal t-shirts on). Haha, then you’ll appreciate the challenge to the fiddler there to stay in tune while the boat gently swayed in the water! (Which isn’t represented by the camera, of course). Oh, yeah, stupid me, who wants a bass player as band leader?! Oh, yeah, stupid me, who wants a bass player as band leader?